Do you want to burn deep-fat wraps and have athletic or slender physique? The Active-PK body-slimming formula helps your body’s enzyme (AMP-activated protein kinase) to stop storing fat and turns these lipids into energy. So, the goal of Active PK is to shed abdominal fat, reduce fight fatigue and boost your metabolism. While using this product to achieve slimmer waistlines, its all-natural ingredients may reduce food cravings. Additionally, Active-PK formula triggers your body’s enzyme to aid weight loss benefits. Who is the Manufacturer of Active-PK? LCR Health is the manufacturer of Active-PK, and the company is based in Los Angeles, USA. According to the manufacturer, Active-PK producer is intended to offer effective solutions for eradicating abdominal fat. They also claim there are no synthetic additives in these fat-slimming pills. While building trimmer body shapes for consumers, they claim Active-PK will also raise energy levels and your body’s metabolism. Additionally, LCR Health company describes Active-PK capsules as longevity activators that promote a clearer process of thoughts. Would you want to experience Active-PK for yourself? While shedding abdominal fat, your body can become healthier and stronger. After consuming two Active-PK capsules daily, the enzyme (AMPK) in the body that optimizes energy inside cells will be activated. More so, the ingredients in this weight loss supplement will inhibit the synthesis of fatty acid, boost energy, lower triglycerides, and cholesterol. Generally, this product activates AMPK (inside your brain’s hypothalamus) to inhibit the accumulation of fat stored in your liver and muscles. However, while you find fewer cravings for food, these unwanted fats will be converted to produce energy. Active-PK Ingredients – Are they Safe & Effective? The all-natural ingredients in this product are three active natural compounds that reduce the growth of visceral (abdominal) fat cells. The active ingredients in this formula are listed here. Gynostemma Pentaphyllum Leaf Extract (450mg) – Jiaogulan is another name for Gynostemma Pentaphyllum. By consuming Active-PK, the ingredient helps to reduce cholesterol. This compound may also reduce lower blood glucose levels and raise insulin sensitivity. Quercetin Dihydrate (100mg) – Quercetin dihydrate plays a key role in the oxidation of fat. It contains antioxidants and anti-inflammatory properties. This ingredient is effective for prostate pain (chronic, nonbacterial prostatitis), and inflammation (nonbacterial prostatitis). More so, the natural compound stimulates the AMPK enzyme, improves metabolic rate that will lead to trimmer physiques. Berberine HCl (100mg) – The inclusion of Berberine in Active-PK capsules helps to improve insulin levels and improve your overall health. It may also help other ingredients in activating the AMPK enzyme, and raise energy production. It can also ease the process of fat reduction. What are the Advantages of Active-PK? The dietary supply helps to trigger the AMPK enzyme that leads to fat reductions in your muscles, abdomen, and liver. What are the Disadvantages of Active-PK? The consumption of Berberine-based medications will cause adverse effects on pregnant and nursing mothers. There are Active-PK reviews telling us the supplement didn’t work for some. The best way to know if a particular weight loss supplement is right for you and will work for you is to check with your doctor and also give him or her a load down of your medical history. How Should You take Active-PK? 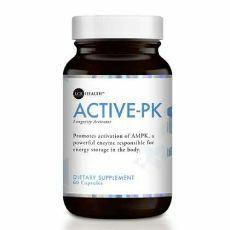 The recommendation on Active-PK’s label is to take two capsules on an empty stomach or after your daily meal. However, consumers should drink plenty of water to allow the capsules to dissolve easily. What is Active-PK’s Return Policy? LCR Health offers a return policy for dissatisfied customers. Within 90 days of delivery, consumers can send an email and ask for a refund. Does It Offer a Free Trial? There’s no information on free trials on this product’s website. This manufacturer makes many claims concerning this ‘longevity activator.’ In the Active-PK formula, there is a blend of active natural compounds that activate the body’s AMPK enzyme for weight loss. Also, as a metabolic ‘master switch,’ this weight loss supplement promotes clearer thinking and boost natural energy. The product is intended to reduce food and shed abdominal fat. However, there are some drawbacks with the use of Active-PK pills. When Gynostemma Pentaphyllum leaf extract is consumed with drugs that suppress the immune system, it makes this ingredient less effective. Engaging in various physical activities can trigger the AMPK enzyme faster than slimming pills. There’s a high risk of becoming addicted to Active-PK pills. Other top rated weight loss pills with more effective results are available; you can try them if this product doesn’t suit your purpose. I wanted to try Active PK, because I have been really struggling with my weight. I thought I would first try it without any lifestyle changes, because I wanted to see if it truly worked. Well, it hasn’t, but a friend told me if I make those changes, not only will my efforts pay off, but Active PK will likely enhance those efforts, so I guess I’m back to square one. By not making those changes immediately, I probably wasted my money before. I’m going to do a test where I try it one week with lifestyle changes only and one week doing both lifestyle changes and using Active PK. We’ll see which week works better for me. At the beginning, I thought Active PK would be just like one of the products I have used in the past that gave little or no result. I was wrong. After just 8 months, I have seen enough results to keep going. The most interesting thing about this product is that its formula was developed in such a way that it helps to keep you energized enough throughout the day. Also, being an exercise buff, whenever I take Active PK before my exercise sessions, I spend extra time exercising because of the extra energy I have. My girlfriend introduced me to Active PK, and I have introduced not less than 6 other people to the product. That’s how much I believe in Active PK.